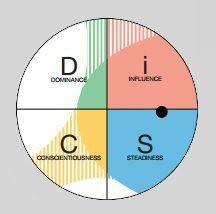 Check out our DiSC profiles blog for my latest post on using the DiSC profile for interviewing. Follow our 5 interview tips along with the DiSC profile to get the most out of the personalized report and feel prepared and confident walking into the job interviews and college interviews ahead. Head over to the blog post: 5 Interview Tips Using the DiSC Profile to find out what you can do to answer any interview question effectively. Last year, I wrote a post on using the DiSC profile to improve your personal brand. I received such awesome feedback, and it’s still trending on our blog today. I wanted to follow up on it, now one year later, to provide tips on using DiSC profiles to improve your personal brand during the interviewing process. Interview tips can really help you feel prepared and confident walking into an interview. Whether you’re interviewing for a new position, promotion or acceptance into college this fall, you can use the DiSC profile to learn about yourself and prepare yourself for answering even the toughest of interview questions. First, we’ll discuss the importance of making a good impression. In last year’s post, I mentioned perception vs. reality. In an interview, the hiring manager only has their perception of us to help determine their decision. Of course they have our cover letter, resume and references, but they need to match up our answers to those documents to make sure they’re an accurate portrayal of our experience. How they perceive you will ultimately determine if you get the job, so you need to make a great impression. In addition to the typical interview tips (get there early, don’t bring your phone in, etc. ), we can help you answer the interview questions effectively.